The Company Warehouse have a team of web experts who can get your business online quickly at affordable price. Get your domain names registered to secure your business brand name online. The Company Warehouse are a Nominet Accredited Channel Partner, the highest level of accreditation for UK domain name sellers. Our web team build hundreds of websites for new startup businesses. They know exactly what startups need and can look after every aspect of the process. All our websites are fully responsive and are built according to Google Best Practice guidelines. Having business email on your own domain name instantly makes your business look more credible. Our 5GB email account lets you access your emails from your phone, laptop and tablet so you are always in touch. Order today and receive a 30 DAY FREE TRIAL. At the end of your trial your email account will only cost £30 per year + VAT. Secure your business listings on major social media networks including Twitter, Facebook and Google My Business. We will create your social media listings, brand them and help you make the most of them to promote your business. Once your website is built you will want people to be able to find it and for the site to generate sales or leads for your business. 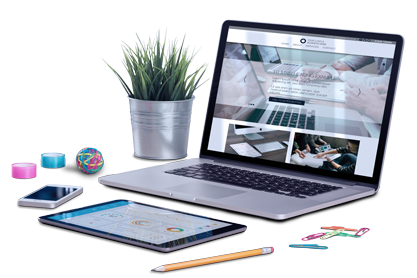 We can turn your website into a sales asset for your business, actively bringing customers to you. Get your website ranked in Google and Bing. Get ranked for the search terms that will attract real customers to your business. Get local web traffic through map listings. Build a lasting search engine presence. Our writers create website content that works for Google and your customers. We research what people search for on Google and tailor your content to it. We complete all of the website’s SEO fields such as meta descriptions and title tags for you. Specific campaigns created around new products, sales or special events. Our Adwords qualified staff will setup your adverts for you. We can instantly get your business onto the first page of Google. We can grow awareness of your brand through Facebook ads. We track sales leads and conversions to make sure your ads are generating real business for you.